Particularly suited to the meat, canned food and sauce industries. 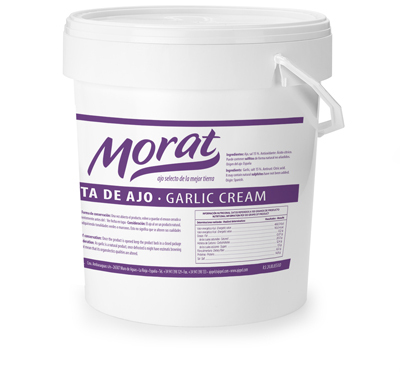 Natural texture typical of garlic cloves, preserves all the properties of this product. Best before: 21 days to 1 month, depending on the time of year. 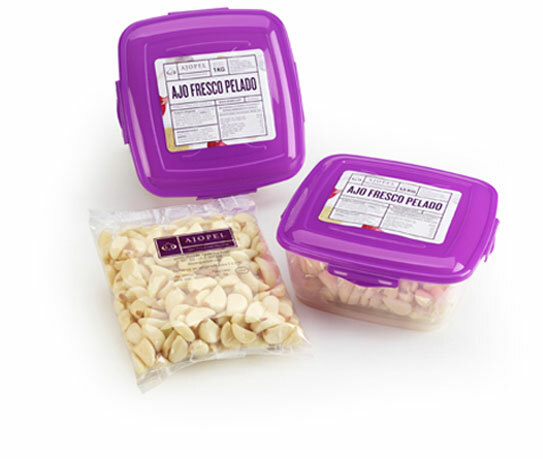 Plastic containers: 1 and 1.5 kg. Cardboard box: 460x230x356 mm – 8 – 12 kg. Plastic bags: 0.5, 1, 2.5, 5 and 10 kg. Cardboard box: 380x286x160mm – 10 kg. Euro Pallet: 1200×800 560 kg. (56 boxes). American Pallet: 1200×1000 900 kg. (90 boxes). Plastic bags: 2.5 and 5 kg. Since ancient times, garlic has been recommended for its health benefits. Here at AJOPEL, we are aware of the importance of a healthy diet for personal development and we therefore apply very strict health standards, use no genetically modified products and prepare products in a natural way, with no chemical additives. Garlic has been well known and appreciated for its health benefits since ancient times. Regular consumption helps reduce cholesterol, aids blood circulation, strengthens the respiratory system and has disinfectant and antiseptic properties. Without a doubt, it is the food with the greatest healing power. 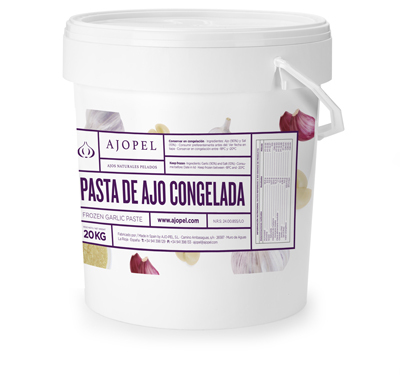 AJOPEL is a leader in quality and supplies the most important national, international and multinational companies in Spain, as well as smaller businesses that produce great products.